The last weekend in August will be a musical one on Beacon Hill! First, on Friday, August 26, the Beacon Blues & BBQ will bring blues music by the Smokin’ J’s to the Garden House, along with BBQ, beer, and wine available for sale. The show is at 7:30 p.m., and general admission is $10. 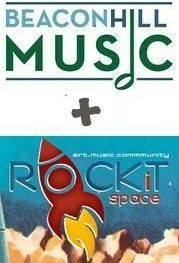 ROCKiT space members and kids under 12 get in free. Dinner starts at 6:30 p.m., and is $12 (including a beverage). Dinner and the show together are $22. Guests can come for either or both. 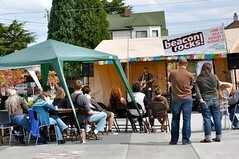 The Garden House is located at 2336 15th Ave. S.
The band Jumbo performed at the last Beacon Rocks! Photo by Wendi. 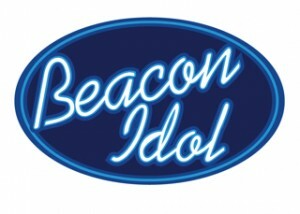 Then on Sunday, August 28, the final Beacon Rocks! 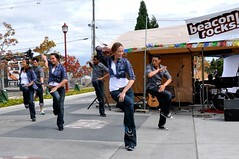 music event of 2011 comes to Roberto Maestas Festival Street (S. Lander St., just north of Beacon Hill Station) from 1-5 p.m. 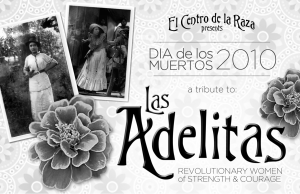 Along with the usual great musical performances, this event will include the ceremony to rename Lander Festival Street as Roberto Maestas Festival Street. Seattle Mayor Mike McGinn, representatives from El Centro de la Raza, and other dignitaries will attend, and new memorial street signs will be unveiled during the ceremony. The event will also feature bubbles for the kids and a beach ball volley contest with prizes. ROCKiT space will be hosting a clothing drive, so bring new or gently used clothing to donate to Wellspring Family Services. 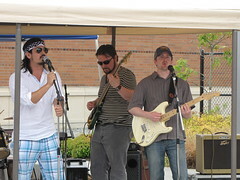 We have decided to apply for permits for afternoon concerts on four Sundays, June 13, July 11, August 8, and August 29, for afternoon concerts. The Special Events Permit Committee meets early in February so we should find out soon if those dates are approved. Partly due to comments made (and the points in those comments) on the Beacon Hill Blog about our meeting announcement, we decided to name the group “Beacon Hill Music” because for some people the term “BeHi” just rubs them the wrong way and others may not automatically realize it stands for Beacon Hill. But we reserve the right to still use “BeHi Music” for some purposes, such as cool t-shirts. The music series itself will be called “Beacon Rocks” but with a tagline something like “and swings, raps, jams, sings, strums, etc.” to be clear about the diversity of musical styles we intend to include. Thanks for everyone’s interest and as we reach any milestones (such as getting permits approved, starting to seek out musicians, etc.) we will definitely keep the community informed.